bananas foster | Gluten Free? Gimme Three! Have you ever seen the show Chopped on Food Network? It’s a show that challenges chefs to make a dish with a basket full of mystery ingredients, and Nick really likes watching it (I think it’s a tad boring, but the concept is pretty neat). So, we decided to do our own challenge, and choose the ingredients for each other. He gave me quince, dark rum, and heavy cream. 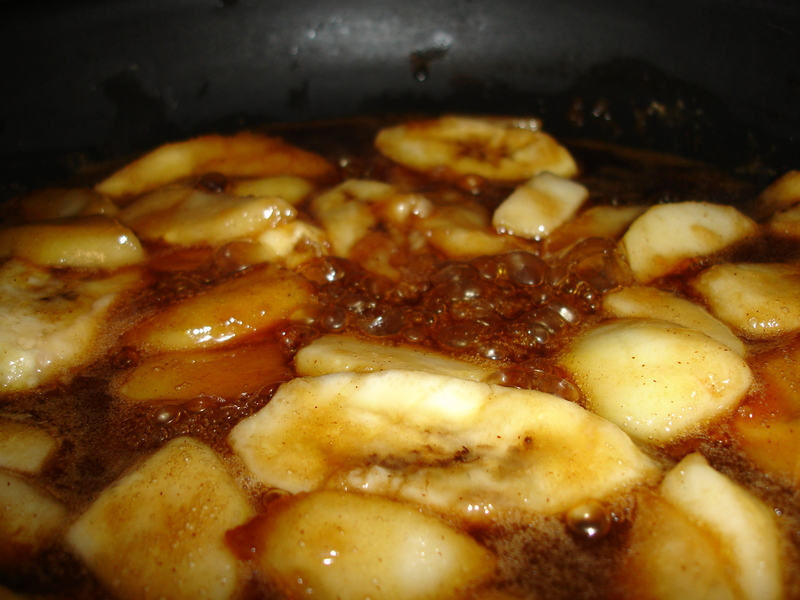 So, what else to make but everyone’s favorite – bananas foster? I adapted the recipe from the famous one from Brennan’s in New Orleans. They didn’t have any quince at Whole Foods, so I had to settle for Bartlett pears. I also used a red banana, which I’d never had before, but tasted just like a normal banana so it didn’t make that much of a difference. Combine the butter, sugar, and cinnamon in a flambé pan or skillet. Place the pan over low heat, and cook, stirring, until the sugar dissolves. Place the bananas and pears in the pan. When the fruit starts to soften, carefully add the rum. Continue to cook the sauce until the rum is hot, then tip the pan slightly to ignite the rum. When the flames subside, lift the bananas out of the pan and place over ice cream. Generously spoon warm sauce over the top of the ice cream, top with whipped cream and ginger snaps, and serve immediately. 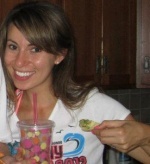 Let the sugar high begin!